So, I'll download the booking form and let CC know how many spaces we'd like ( as an estimate to get the correct sized area ). If you'd like to join us then that would be great - it's a very enjoyable day out. Please either reply to this or email / message me. Car space is free, adults are £15 and seniors are £10. Club tent is also free ( which is nice ). Period dress code is optional. Payment deadline to give them the money is 8th September. I will try and sort things at our August meeting ( which will be 23rd ) for cash. Last year ( we do go out in the wet ) ! 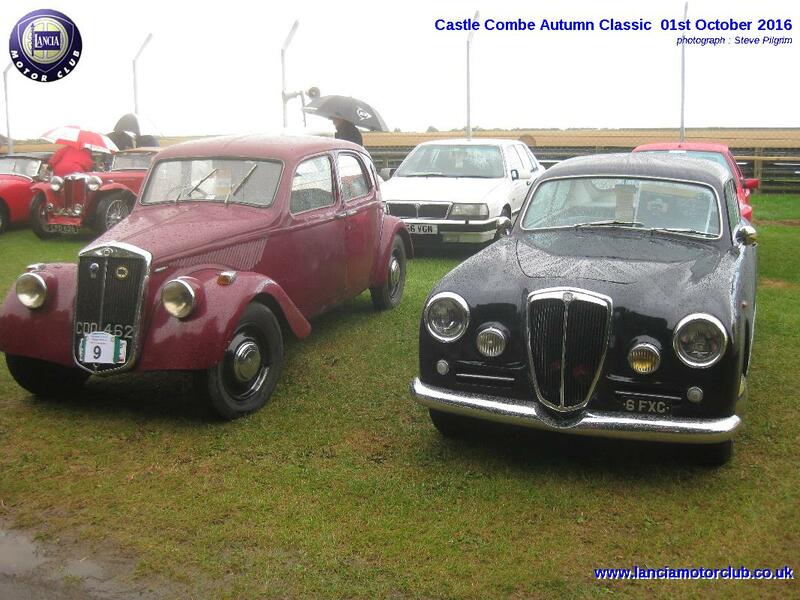 Castlecombe has confirmed they have the booking - I've asked for 10 spaces + gazebo space. We can confirm numbers and payment in early September but once the booking is confirmed then that will be it. To add to your car list Steve, I will probably bring the Monte Carlo unless weather is really bad in which case it will be the Dedra Integrale. Thanks Chris - either would be great ! 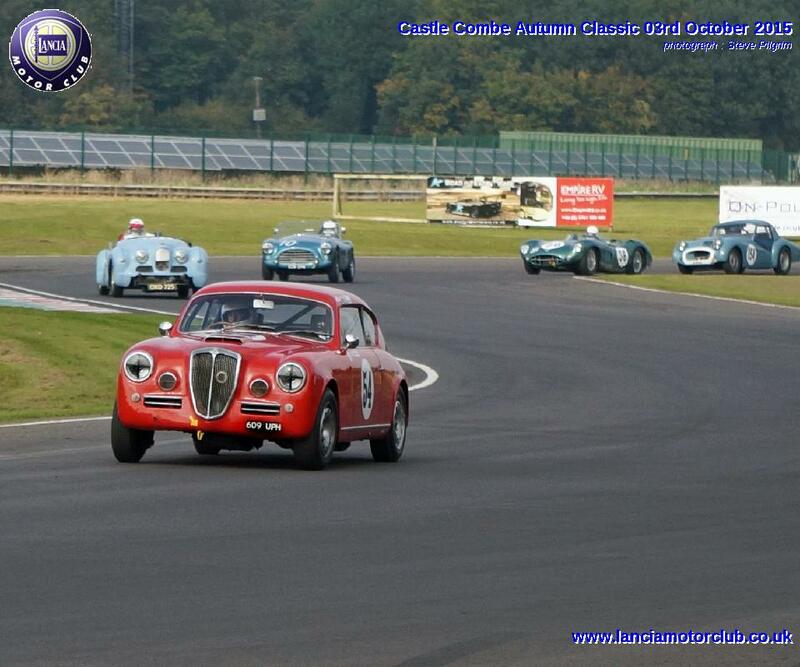 This has now been confirmed and paid with Castle Combe Circuit. For those coming, I'll send out more information when I receive it and I'll post on here where our area is so anyone visiting can pop by and see us. The tickets have arrived ! They'll also be two Aurelias out on track for us to cheer on. Castle Combe have just sent the map with our position on it - pretty much where we were last year next to the track at Avon Rise near to Quarry Corner. I've attached the PDF so everyone can find us. Also we had 8 of our cars on display in a good location, attracting a lot of interest. Viva Lancia! Any membership flyers handed out? It has to be said that standing ( literally at Combe ) next to F1 cars as they go past it about as noisy as it gets ! Did anyone find out who owns the nice looking Lambda? He should join the club. According to the program the owner is John Earle-Marsh. He told me that his father bought the car when it was 10 years old which would be around 1934. I believe the car is well known to Roland Grazebrook. He doesn't appear to be a member of the Lambda World Register, either. He's in the VSCC list of members with an Alvis Silver Eagle. His Lambda looks very sporty with light weight wings. Would be nice to see it more often.